What is the Culture of Your Home? The problems and joys of our home don’t arise from within a vacuum. All our homes have a certain culture about them which cultivate certain character traits in us and encourage certain responses from us. The culture of our home is often subtle and unspoken, and yet its significance cannot be overstated. It’s important, then, that we all evaluate what kind of culture we are creating at home. 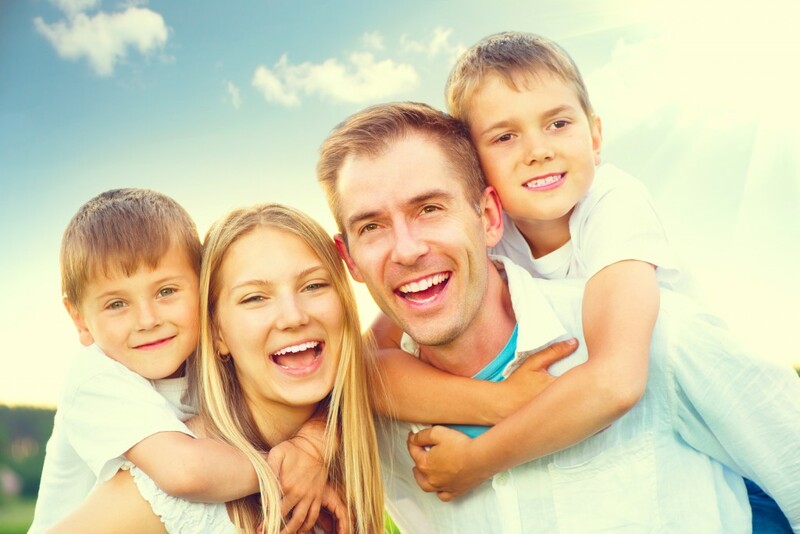 Healthy family cultures are engaged in equilibrium, open dialogue, and expressive grace. Equilibrium – All families have problems, there’s no way to avoid them. In a sin-cursed world things are never going to be perfect and we will have to make time to deal with conflict, failure, disappointment, and disagreements. If we attempt to eliminate all negative conversations then we will create a fictional world where problems still exist but are never acknowledged. Equilibrium seeks to maintain a balance between the negative conversations we must have and the meaningful fun we get to have. It’s not a literal balance, as though we are calculating the amount of serious conversations and the meaningful fun, rather it is a general balance that seeks to engage the whole family in quality fun together. This means carving out and planning ahead for real consistent quality time with one another. Some ideas might be: regular family game nights, regular dinners with real conversation, annual vacations, special trips or holiday traditions. These should be consistent enough that they feed the family culture. Equilibrium requires consistence and planning. The goal is to not allow family interactions to be consumed by business or crisis. Open Dialogue – Healthy families allow everyone to have a meaningful voice. This can be especially hard for husbands or wives who are ambitious leaders. They can tend to make decisions, plan far into the future, and issue expectations. The temptation is to do all of this independently and without the input of the rest of the family. Making sure that everyone has a voice in the family means having regular conversations that involve humble listening, and asking good questions. Finding creative ways to involve others in planning, decision-making, and sharing is important. Perhaps regular family meetings to talk about problems, allowing others to share their perspective and or feelings is a good starting place. Using dinner time to allow everyone to debrief their day is classic example of this idea. Giving everyone in the family a chance to plan a day, or an event, is another way to cultivate inclusion. The biggest way to encourage inclusion, however, is to allow and provide opportunity for everyone to express hurt or frustration. This is particularly important with children. If children do not feel like they can share their emotions with mom and dad, or point out ways that mom and dad may have sinned against them it will create barriers to conversation. Confession of sin and humility ought to be on display regularly, which makes us approachable and invites others to interact us with us when we have done them wrong. Families will hurt one another, open dialogue allows for problems to be resolved in healthy ways. Including everyone in the family means giving everyone the opportunity to be heard. Expressive Grace – Finally, a healthy home culture knows the importance of showing grace to one another. It’s not just about forgiveness, and turning the other cheek. Expressive grace is about free demonstrations of that grace. In a healthy home culture grace isn’t just assumed, it’s regularly on display. It is evidenced in preferring one another over self, in asking for forgiveness, in extending forgiveness, in honoring one another. It’s evident in laughter, tears, thoughtful gifts, and acts of service. For younger kids it must be regularly taught. Kids don’t come out of the womb thinking about the interests of others as more significant than their own, they must be trained up in the way they should go. Chores are a great way of helping them to see their role in the family and their ability to be thoughtful. Helping them to be generous with their toys and their money is another way to teach them the idea of expressive grace. Parents, of course, must model it well. Expressive grace means we regularly point one another to the grace of God in Jesus Christ, and as we do this we will cultivate a healthy family culture. How often does my family spend time together? What do we do when we are together? What are the pressing concerns I have for my family? What are the concerns of the various members of my family for their lives? How do we resolve conflict when it arises at home? (If you say you don’t have conflict that is important, it probably means nothing is ever discussed, and therefore never resolved). When was the last time I asked my kids and/or spouse for forgiveness? How did that go? What is the general emotional mood of my home (stress, fear, excitement, apathy, tension, etc.)? How often do I discuss my day with the members of my family? How often do I listen to them discuss their day? What are the common (recurring) arguments we have at home? What do they reveal to me about the three categories of equilibrium, open-dialogue, and expressive grace? What is one thing that I would like to see changed in my home life? Why? What is one thing the other members of my family would like to see changed? Why? How are our answers similar and different? How often do I engage in activities that I didn’t personally pick? What would I identify as a core value of our family life? What would others identify as the core value of our family life?